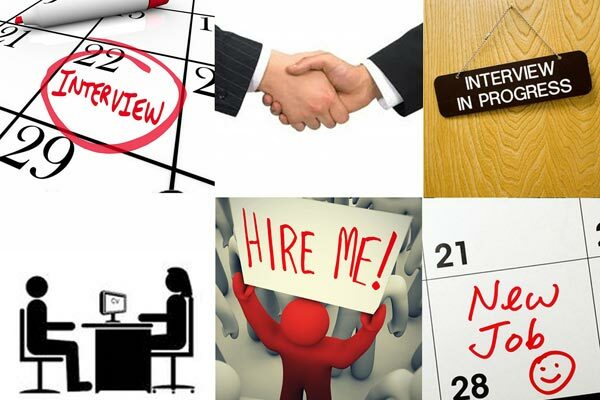 Consider internships as a three-month-long job interview. A friend of mine who owns a business said that recently, and I have to agree. You should adopt this mindset too as you tenaciously seek out internship opportunities. These tips should help! If you want to compete with dozens or even hundreds of others clamoring for an internship, job search sites like Glassdoor, Indeed, and Monster will suffice. (Your college’s internal internship/job boards will be pretty popular too.) However, to significantly improve your chances of scoring an internship, think about the people you know. Tap into your own networks, which include professors, family, friends, past employers, neighbors, and LinkedIn connections. This is no time to be shy. 2. Identify your dream internship . . .
Take time and think in vivid detail where you would like to intern, the tasks you want to perform daily, the skills you want to learn, and what your ideal day on the job will look like. Paint a clear picture in your mind, all the way through to a glowing reference letter from your boss. Write down your “dream” and think about it every day. This will help make it happen. While it’s great to know what you want to do before graduation, flexibility is important. The exact position you want may not pan out, but there’s always plenty to learn. Be open to new ideas. There are countless stories of people who started in the mailroom and worked their way into the executive suite. Yes, you are crazy busy and swamped with exams, deadlines, work, family, relationships, and more. Your college experience is basically as a full-time job (with lots of overtime); it is your utmost priority. Well, the hunt for a wonderful internship is another part of that job. Opportunities and connections may present themselves when you are on a weekend trip, at the movies, in the airport, or at a holiday dinner. Pay attention! Look at a calendar and highlight the date you want to begin your internship, then work backwards. For example, if you want to start on April 10, 2016, circle that date, and go back in time. Before the spring semester gets underway, make a detailed and specific list of companies, names, and contact information you wish to approach. Complete the list by January 15, but remember you can add to it during the semester. Before reaching out to prospects, plan to update your résumé and portfolio. Target February 1 for your résumé and February 15 for your portfolio. (Tackle these tasks over the holiday break if possible, so you don’t have to scramble.) Then, circle February 20 on your calendar and schedule at least one hour a day for calling and e-mailing potential employers from your contact list. This is your roadmap. Don’t mope around when someone asks if you have an internship and your response is no. Negativity will poison your conversations and mindset. Simply smile and reply, “Not yet, but I know I’ll find one.” Then gently change the subject. Regardless of what the naysayers share, stay upbeat and stick with your plan. If an opportunity doesn’t pan out, try and get quality information to help move you forward. For instance, if an employer hires someone else, ask if there was something specific they were looking for that you didn’t provide. Maybe it’s a particular skill or a gap in your availability. Maybe your demeanor wasn’t a good fit. Ask them what the issue was (if there even was one), and don’t guess what may have gone wrong. Learn from the facts. Also, if a potential employer says there are no positions, ask if they would be willing to e-mail you two or three contacts who may be hiring. Recommendations and referrals open doors.